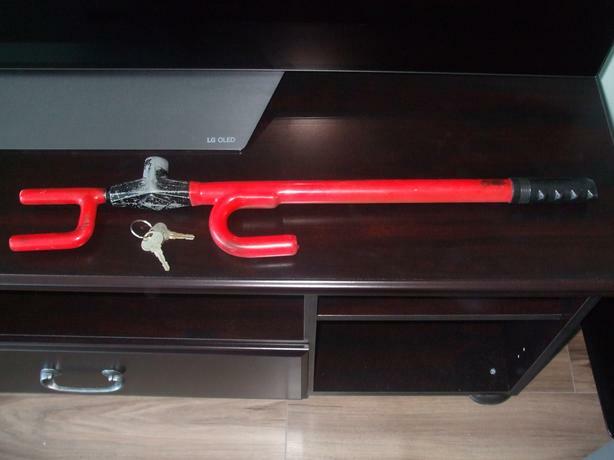 Heavy duty steering wheel lock. The original ''The Club''. Very sturdy. Set of 2 keys incl.